Are you new to having dentures? You probably find it a bit challenging as of the moment. But you don’t have to worry about it. That’s only normal. Like anything that is new to you, it takes some time for you and your mouth to adjust perfectly to your dentures. At first, it may present a few minor concerns, but these are easy to overcome. In time and with patience, you will be comfortable wearing them. In order to help you know what to expect as you get accustomed to wearing your new dentures, here are some tips from your trusted denture experts at West End Denture Clinic. Once you get your dentures, the period of adjustment immediately begins. At the start, your dentures might feel a little bulky and uncomfortable. But this is something that you can easily overlook especially once you see how your dentures significantly improve the appearance of your smile and your face. Take some time to appreciate this. In addition, your dental prosthetist here at West End Dentue Clinic will also provide you with tips and reminder on taking care of your new dentures. Your mouth is now gradually adjusting to improve the fit of your dentures. It is highly probable that there is a noticeable increase in the flow of your saliva during this time. It’s just the normal reaction of your mouth as it regards your dentures as a foreign object. Also, you might experience some sore spots in your mouth and gums due to your dentures. To address this, you can rinse you mouth with warm salt water. If the problem persists, call us immediately for further guidance. By this time, you should have already practised talking and eating while wearing your dentures. You might find that you pronounce words a bit differently but in time, your speech will sound a lot better. Also, by now, you can start to enjoy different kinds of foods. Then again, it is advised to stick to softer foods so as to protect your dentures, teeth, and gums from any harm. 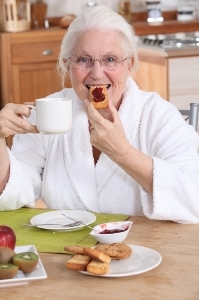 After a full month with your dentures, it is only fitting to reward yourself and go munch on your favourite treats. Also, you should not forget to see your dental prosthetist on a regular basis so as to ensure that your dentures are in perfect condition. For exceptional work on dentures, consult your denture experts here at West End Denture Clinic. 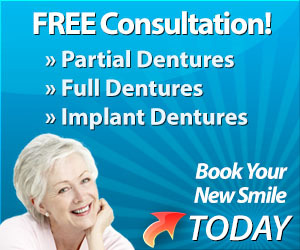 Call us today on (07) 3844 0944 or simply book an appointment online to avail of a FREE Denture Consultation.